And if you think this time is different – well, I actually agree, but not in a good way! There’s no free lunch – you can’t just print your way to prosperity & expect to escape scot-free, there are always (unpredictable) consequences. So, has that been priced in also..? 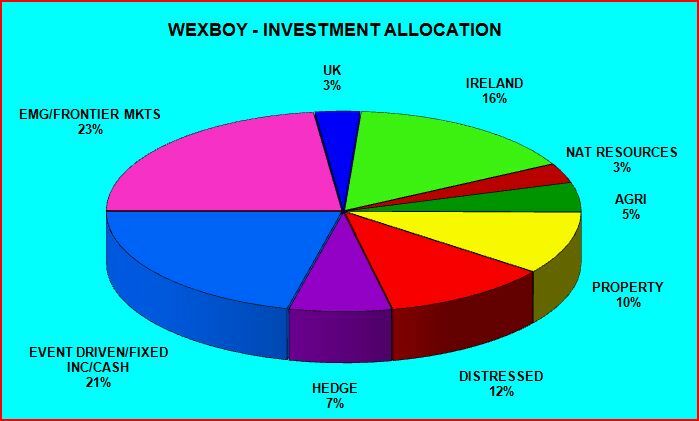 Hedge funds were a far larger component of my portfolio. This reflected a gradual migration over the years from open-end funds (many moons ago), to closed-end funds & investment trusts/companies, and finally into hedge funds. This was accompanied by an increasing reluctance to delegate my investing & investments. [Which may surprise you, as investment companies still play a significant role in my portfolio. However, this tends to now reflect my delegation of a specific/specialist investment theme – or simply the selection of a fund itself as an attractive investment, due to the presence of a large discount/catalyst/etc.]. Hedge funds, however, appeared to potentially offer the magic combination of lower volatility/correlation & better long-term returns. Sure, maybe they’d under-perform a bull market, but who cared – they simply ignored down markets, right?! The ultra-quick recap: Leveraged loans avoid most interest-rate price risk & enjoy better (default) recoveries than junk bonds, while CLOs offer diversification & loss mitigation, plus varying levels of tranche risk. These defensive attributes, coupled with current CLO yield spreads, may offer the best credit opportunity for 2013. I like that risk/reward profile, but honestly, current yields & potential returns from leveraged loans/most CLO tranches don’t offer the level of return I’m seeking. Yes, you know where this is going… I want to take those defensive attributes & re-invest them into a more aggressive investment – residual equity tranches! Where’s The Credit Opportunity In 2013? Owning Colony Financial (CLNY:US) was v rewarding. I bought it as a cheap distressed assets play, but I suspect my gains actually came from income investors, who are now rushing into the stock. That got me thinking… And it hammered home a couple of lessons: a) Never under-estimate the desperation of income investors, and (more seriously) b) Don’t fight the Fed! Now, that may sound like a contrarian challenge to some – sure, sometimes it can prove v profitable to fight a rising tide. Except surfing the big waves is simply far more rewarding most of the time. Do you really want to be the investor who faces down the Fed’s steamrolling printing press? Especially with a ravenous horde of zombie income investors chasing after it?! But it’s becoming increasingly difficult to exploit those lessons. Look around, most yields are too low, most prices too high… Look at property REITs, mortgage REITs, MLPs, closed-end funds (esp. Pimco! ), and other assorted dividend story stocks. Most are now sporting fairly nauseating valuations & leverage – while the dregs are simply Ponzi schemes, relentlessly issuing stock & debt to fund excessive dividends. But what’s the alternative – Treasuries?! Oh please, just stab me with a rusty fork. i) Real Estate: The major holding is $38.2 mio (net of related debt) invested in Wyler Park, a commercial/residential Swiss property. It’s fully let, on a gross 5.1% rental yield, with development potential for another 37% of floor space. The other significant investment is $14.7 mio of convertible debt in SRS Charminar, an Indian real estate company. Unfortunately, the stake’s been subject to long-running litigation. But with ample initial over-collateralization, and an agreed settlement this year, continuing uncertainty’s now hopefully related to timing & expenses, rather than recovery value. Net of interest rate swaps, total net property investment is $45.9 mio, or about 32% of NAV. Enter email address to track this blog by email. Applegreen - Just Grab & Go!